In this day and age of understaffed hawker stalls, Koh Seng Choon’s Project Dignity hopes to do a dual good of staffing Singapore’s food stalls and helping the disadvantaged and disabled find work. The social entreprise is certified under the government’s Workforce Skills Qualifications Food Stall Operations Programme, and those who become students (there’s no age limit) learn the basics of working in a hawker stall and can pick up cooking skills in a variety of electives covering cuisines like Indian, Malay and Western. 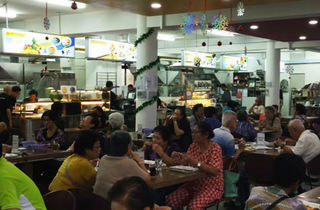 Of course, they also get to try their hand at what’s arguably Singapore’s national dish: chicken rice. This programme hopes to eventually empower the disadvantaged to eventually run a hawker stall independently. Industry veterans like the team behind famed Boon Tong Kee chicken rice, chef Eric Teo and KF Seetoh have each offered their advice and tips to the students, who apply their skills at the newly-opened Dignity Kitchen. 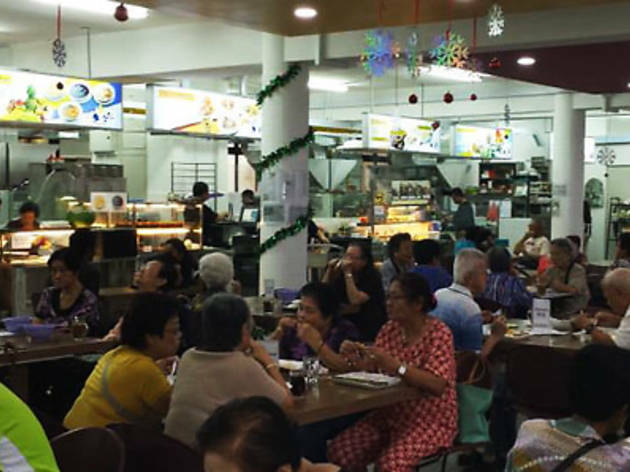 The fully-equipped indoor kopitiam space features several different stalls – though it takes a bit of extra effort to find as it’s located on the second floor of an HDB building about five minutes away from Serangoon MRT station.